Ironically the only people offended by Trump’s “poor people” comments are rich millionaires sitting in a New York City Studio reporting on it. Of course we would want a successful busines person to run the Commerce Department. Do they realize how ignorant their comments are? If you had a business who would you want running it, a poor person with no experience or someone with a proven track record and a successful person? 100%FedUp: CNN’s Chris Cuomo freaked out at President Donald Trump’s comment during a speech in Iowa that he didn’t want “a poor person” in economic Cabinet positions. He said he couldn’t believe Trump supporters would applaud this comment. 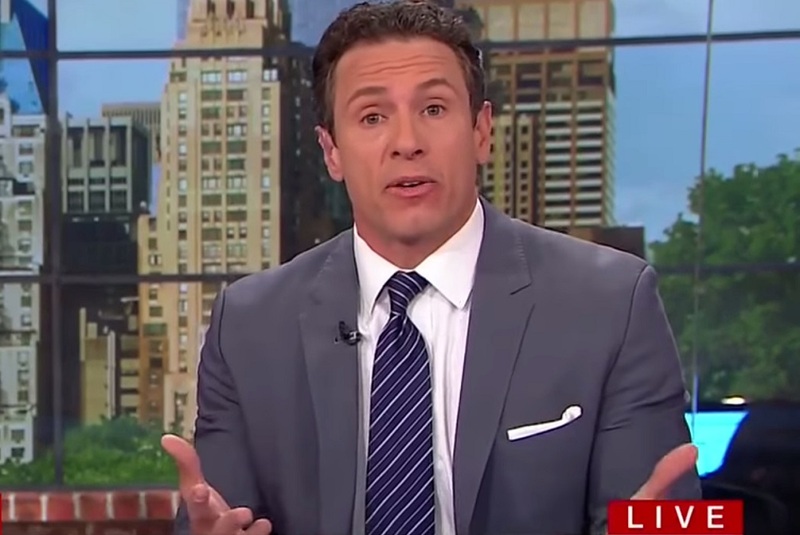 Chris Cuomo’s faux outrage is hysterical! Cuomo called the audience “apparently blue collar”…How does he know this audience isn’t full of people from all backgrounds? Apparently, Chris Cuomo failed common sense 101…Wouldn’t it be better to hire a Cabinet full of successful people? President Trump filled his Cabinet positions with the MOST qualified people without regard for politics. The CNN panel must be confused when they refer to “the swamp” because President Trump overwhelmingly chose people for positions from outside of politics. “The swamp” is the DC elite! Way to go CNN! You’re still stupid!